AutoCAD is a two and three-dimensional computer-aided drafting software application. It is used in construction, architecture, and manufacturing to prepare blueprints and plans. To understand better about our CAD drawing services, please call us today. We look forward to hearing from you. A drafter is a professional who works with AutoCAD. Excel, Dubai is an interior design and drafting organization and a subsidiary of the Excel Group of companies. To digitize your building plans and drawings with assured high-quality output, please call Excel- a leader in CAD drafting services, UAE. Why should I outsource to Excel CAD Drafting Services, Dubai? Excel is widely recognized in the UAE for its professional services in the architectural, engineering and construction industry. We provide comprehensive services in CAD drafting, Paper to CAD, Office Space Plans, Interior Design and Interior 3D Rendering. When you outsource to Excel, you need not to make a costly investment in CAD software, infrastructure, and training of personnel. Excel's advanced CAD software provides superior designs quickly with a high degree of accuracy. Excel's software has the capability to provide multiple drawings in a short time frame. By outsourcing to us, you cut down on the cycle of activities in between the design and implementation phases of the project. This is because the models we provide are of superior quality and do not require further quality checks. Excel, Dubai offers state-of-the-art office space planning services for maximizing productivity at your workplace. We take care of details such as space planning for telephones, computers and CCTV surveillance. Our completed projects with 2D architectural planning comprising furniture layout, flooring and reflected ceiling have been well-received in the industry. For qualitative Architectural drafting services, please call us now. What is Excel's competency in CAD designing and drafting? Excel, Dubai, offers versatile and flexible CAD based tools with customized features which can be used for building design and construction. Excel uses digitization and 3D modeling to convert hand-drawn sketches and blueprints to the digital format that allows quick and convenient editing. This flexibility helps to incorporate the requirements of structural engineers, architects, interior designers, etc. Excel's team of designers can visualize designs using 3D modeling with minute attention to detail. This reduces the scope for errors. Excel has a robust system of communication and collaboration in-house and with our clients. Every team member has access to every detail of a project from design to installation. We keep our clients constantly in the loop with our excellent project management skills. Excel's CAD drawing services lay the foundation for safe, functional and cost-effective structures. To know how you can save resources and maximize productivity by outsourcing to Excel, Dubai, please call us now. What is the Excel advantage? Excel's professional team comprises skilled CAD design and drafting experts well-versed in global industry codes and standards. All our team members have deep insight with years of experience in this service domain. We understand the diverse requirements of our clients all over the world. We have the capacity to service large volumes of dynamic requirements in CAD drafting and designing ranging from structural design, modeling, structural analysis and documentation with respect to varied structures and industries. 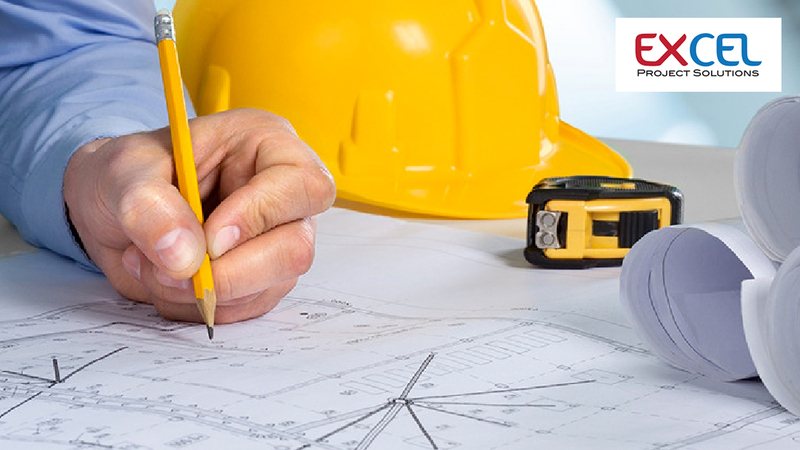 Unparalleled attention to detail in every phase of project management. Our CAD representations are delivered in the format of your choice. 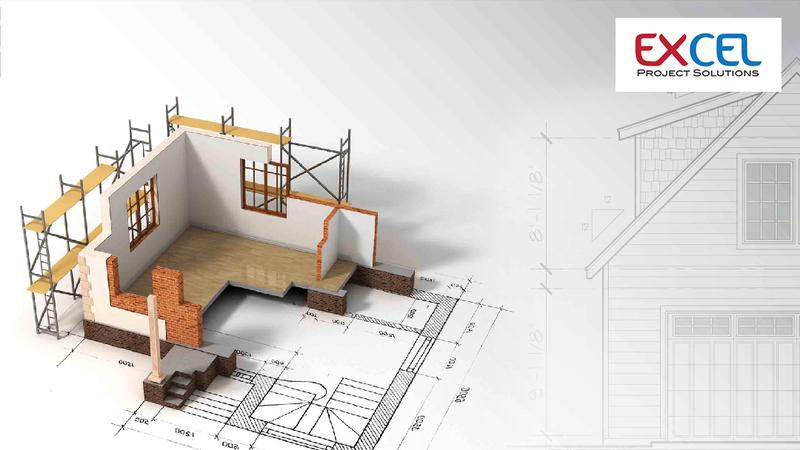 All details of our client drawings such as foundations, walls, beams, floors, roofs, etc. are presented precisely. High-quality drawings with great dimensional accuracy. Excel Project Solutions, Dubai offers Architectural drafting services that are comparable to the best in the industry worldwide. Outsource to us today and enjoy the competitive advantage.